We recently undertook a brave (and probably insane) experience: an international trip with three kids under the age of four. Was it worth it? Definitely? Were we insane? Probably. And yet we managed to come back alive. Traveling with toddlers wasn’t easy most of the time, but it gave us the confidence to undertake new family adventures. There are many things I might have done differently, things we had to learn the hard way. 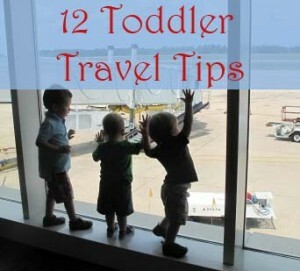 I’m hoping to save you the trouble with these 12 tips for traveling with toddlers or small children. 1. No amount of preparation is too much. We had the trip booked half a year in advance, which gave us plenty of time for planning. And we used it! First, we did some research on the destination, the resort, the travel logistics. How should we get to the airport? Do we need to pack our own car seats? What activities will there be for children? All of these practical, long-range questions got us thinking about the details of pulling this trip off. Our biggest concern was keeping our twins (18 months) happy and entertained during a long overseas flight and airport layover. We brainstormed every possible way that we might entertain them. Toys, activities, snacks, every kind of distraction was considered. We perused places like Etsy for cute, portable, unique toys that would keep the boys’ attention. 2. Pack snacks, toys, and then more snacks. We packed what we thought was a lot of snacks and plenty of toys. It turned out not to be nearly enough of either. Toys are a problem because toddlers tend to have A.D.D. even at home, where we have dozens (hundreds) to choose from. Even with the most razzle-dazzle, fantastic little toys, they were bound to become bored. New, strange environments like airplane cabins and airports hold far too many new wonders for any toy to compete. The coffee came so super-hot that I couldn’t drink it until we were on the plane, and by then I had a toddler on my lap. The muffins were a poor choice because the kids wanted to hold and throw and crumble them all over the airport. Most of the remaining snacks were gone (eaten or thrown on the floor) halfway through the first flight. Some snacks are better than others. Looking back, I’d have favored fruit snacks and applesauce pouches (the kind with the twist-off straw “nozzle”) and kept them more accessible. I’d also have had my coffee in the car on the way to the airport; trying to juggle a boiling-hot cup of it and wrangle three toddlers just isn’t a good idea. We love documenting our little one’s adventures and growth with photos (and videos), mostly because there’s not time to do much else. A family vacation is one of those pivotal must-photo events, so we carefully packed our camera, charger, and a backup battery. About a day into the trip, we got sand on it, and that was devastating news. Few things are worse for cameras than dry sand getting into the moving parts. There was good news and bad news. The good news is that I had my iPod Touch which takes photos and videos. The bad news is that it does poorly in low light or motion shots. Thankfully, I was able to get our camera working again. Next time I’d like to have two (one for each of us); that way more memories are captured and there’s always a backup. We probably wouldn’t have taken this trip, and certainly wouldn’t have made it back, without grandma and grandpa to help out. With three kids under the age of 4, it’s just too hard to keep everyone together and tote our luggage around. At various critical moments, they or my brother were around to wrangle one of our kids, strollers, or suitcases. That extra set of hands was indispensable. Once we settled in at the resort, we were fine. Completely self-sufficient. But the travel part was another animal entirely. 5. You’ll be “those people”. You know, the ones with the screaming toddler(s). Are you ever in a public place — in a restaurant, at church, etc. — and seen parents with their hands full? A baby screaming, a toddler running off, a child being disobedient. When traveling, odds are good that you’re going to be that family. There’s very little you can do about it, other than try not to care. Remember that these are strangers you’ll probably never see again. Focus on keeping your family safe and happy first; the others can come later. One thing that surprised me on a few occasions was how nice (tolerant) some people were of us. This began in the airplane, when a nice airline worker let us slide in line right in front of a college girls’ volleyball team that had showed up in line while we figured out that you can’t use self-serve kiosks to check in if you have lap babies. Groan. But the airline worker helped us cut in line and the coach didn’t seem to mind. The volleyball players, too, were quite tolerant on the flight. Of course, we also bought some goodwill with fun-sized bags of M&Ms, a Pinterest recommendation that I should pass along. There were other acts of kindness by strangers who recognized what an ordeal it is to travel with three small children. Lots of little things, like holding open doors for our double stroller or letting us jump part of the line at security. We took any help we could get! 7. Some people don’t give a crap. On the other side of the coin, there were a few bad apples out there. Where the airline employee excelled, just about every flight attendant was completely unhelpful. Not just to me, mind you, but really to everyone else out on the plane. One came up and groused at us that one of our kids’ toys had strayed into the aisles (“These aisles must be kept CLEAR”). I guess when you’re a flight attendant on a bankrupt airline, you’re not out to make new friends. Then there are your run-of-the-mill jerks who jostle you with their body or overloaded luggage cart without so much as an apology. One guy who’d arrived at the notorious airport only about 20 minutes before his flight’s departure nearly ran down my mom and daughter, only shouting “Watch out!” To my mom’s credit, once he passed she said “I think ‘excuse me’ is the term he was looking for.” There are going to be jerks out there, whether or not you have little kids doesn’t matter. Your stroller will have to go through the X-ray machine. Be prepared to hold your child and try to fold it up with one hand. Baby shoes do not have to be removed and scanned. Thank goodness. Remember the basics. Sometimes in the stress and chaos of traveling with small children, one forgets the simple restrictions like the bottle of water in one’s backpack. Another lesson that our international trip with toddlers was quick to remind us: the world is poorly babyproofed. Many of the hazards and risks that we tackled when babyproofing for twin boys at home are now within easy reach: unsecured furniture, toilets, sharp objects, drinks, places to fall. This is true of virtually every public place, but especially airports, restaurants, and hotels/resorts. So how did we manage flights and layovers and hotel stays and public beaches with our energetic little ones? Corral and contain, baby! First of all, we packed sturdy lightweight double strollers (click for our review) and kept the twins in them whenever possible. At restaurants, we made prodigious use of high chairs and a booster seat. When we did let the kids loose, we tried to do so in a contained area. In the airport, for example, we claimed an aisle of seats at the gate and used baggage to seal of each end, effectively making the middle a play area. We did the same on the beach with chairs and beach bags. In enclosed places like our hotel room, we invested some time in toddler-proofing. Basically this involved keeping doors closed and putting things (trash cans, overpriced mini bar snacks, etc.) up high where they’re out of reach. Once this was done, we could maintain a sort of “zone” defense where each parent watched a room. In open spaces we took a more direct approach: man-to-man coverage. Our 3-year-old was pretty good, so most of this centered on her younger brothers. Again, family help was crucial! I can’t thank them enough. Notice how we worked around meals and naps? When you’re on vacation, it’s very tempting to throw caution to the wind and try to do too much. Skipping meals or naps or staying out late is just going to leave you with over-tired, cranky kids. Instead, we stuck to our routine and everyone was happier for it. If you’ve taken a trip or vacation with young children, you know this already: it’s a very different kind of vacation. Traveling with toddlers takes a lot more preparation (and brings far more stress) than traveling with only adults. There’s not a lot of “me” time, but as a parent, you’re used to this already. And you probably don’t mind either! So take pictures, let them have fun, and do your best to keep everyone safe. Enjoy these times! You and your kids deserve to. It is also great to bring travel highchairs especially if you have babies with you when traveling. 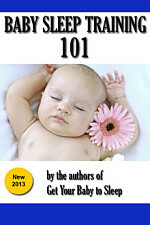 It will make your trip with your baby fun and enjoyable because you are both comfortable. Great point, lexormike, I forgot that one. Thanks for the comment! any ideas for traveling with a 2 yr old boy on a train? That sounds like a lot of fun! When our daughter was that age, she really liked an Aquadoodle, which lets you draw stuff with a water-filled marker. You’re a bit luckier on a train because you’ll have a bit more space and freedom to move around – taking him for little “walks” can help pass the time. Bring plenty of snacks and hand sanitizer, too! Great tips! Toddlers require lots of care especially while traveling and the new moms would definitely need this kind of tips to make the trip safer for there kids.